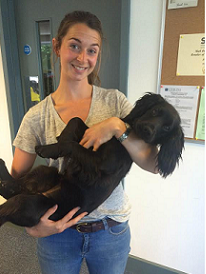 This week VioVet said a warm welcome to vet Sophie Wilkinson who joins our team excited for a new challenge. Sophie graduated from the Royal Veterinary College in 2011 and has been working in equine practice for the past five years. With two dogs and two horses of her own, plus a veterinary degree under her belt, Sophie is perfectly placed to advise on all manner of pet and horse-related topics! So, if there’s anything you need to know or want to ask, please give us a call or send us an email. When it comes to horses, Sophie has a keen interest in dentistry and has written a short guide to maintaining good dental health and hygiene below. What are the main dental problems facing us? Domesticated horses – as a result of grazing less hours than their wild counterparts, and consuming pasture that is considerably less coarse – can develop sharp enamel points on the outside of the upper teeth and inside of the lower teeth. When horses are ridden, their cheeks come into contact with these sharp edges, which can cause ulcers. These can be painful and have a detrimental effect on ridden performance and behaviour. It is these sharp edges that we take down during routine dentistry. This can be done with hand or motorized tools. 1) Have routine dentistry done on your horse every 6-12 months by a vet or BAEDT qualified equine dentist. The dentist will be looking for signs of irregular wear, tartar build-up, gum disease and abscesses. 2) Increase vet checks to twice a year for horses aged 16 or over. 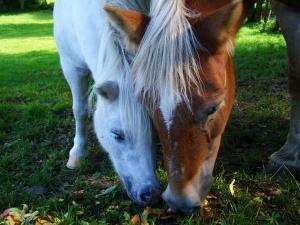 3) Feed plenty of forage to increase the number of hours your horse spends chewing every day. 4) If your horse is quidding (dropping food), has a foul smell coming from its mouth or has nasal discharge, this may indicate that your horse needs more urgent attention. Just had dental work done on two ponies one was very bad which made him lose so much weight he was skin and bone eats hard feed soaked.he eats that well but still very thin what would help him please he is 25 yes old.